This isn't the first time I've used this title for a post, but as it was indeed very sunny on this particular visit to Hunstanton, I think its only right to use it again! I mean look at that sunshine... what a glorious day it was. I kind of think these look like old postcards, what do you think? 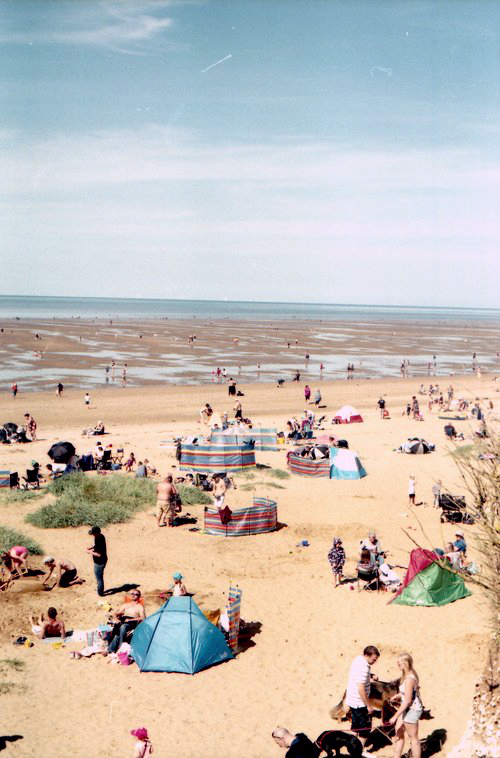 I really like that though, there is something so oldy worldy about Hunstanton.